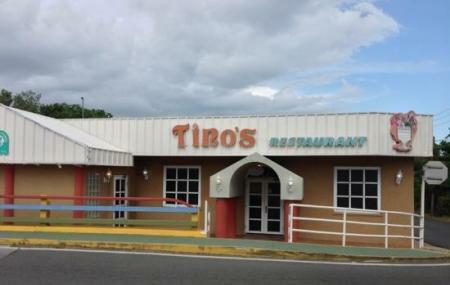 Tino’s Restaurant is situated right in front of Isla de Ratones, in Cabo Rojo. Tino’s Restaurant combines a fantastic view with its exquisite cuisine and creates a wonderful dining atmosphere for tourists. They serve the choicest Puerto Rican dishes, but have a menu with continental fare as well. Tino’s Restaurant is also well known for having a particularly envious collection of wine, among the best in the restaurants of the region. The staff and management at Tino’s restaurant are very friendly and helpful. The chefs at Tino’s prepare great renditions of classic Puerto Rican dishes, like the Mofongo, a flavourful dish of mashed plantains mixed with vegetables or meat. As in most of the restaurants in their area, they have a great seafood menu, with red snapper and grilled octopus being some of the diner’s favourites. They also serve excellent side dishes with almost every meal. One of Tino’s most celebrated dishes is the stuffed mofongo con pescado. Their patrons absolutely swear by it. You can make your dishes to order, adding your own adjustments along the way. If you’re ordering lobster, don’t be afraid to spice it up. Don’t forget to visit Tino’s Restaurant, especially when you’re making the trip to Isla de Ratones. Enjoy a meal before or after your visit to the island, and your day will be a memorable one indeed. The road to get there is a bit of an uncomfortable drive since it is an old road. However, it still is one of the many good restaurants in this area and is well worth the drive. How popular is Tino's Restaurant? People normally club together Isla De Ratones and Buena Vibra while planning their visit to Tino's Restaurant. The food was delicious and the service fantastic. I highly recommend this restaurant. If you're a seafood lover and happen to be in the area you must eat here. Great experience. Extremely friendly service. Very good food. Awsome place to eat great Puerto Rican Cuisine and all kinds of fish and seafood. The food is amazing and at a pretty good price. Their schedule is a bit irregular though and they sometimes close when not seeing much activity. Woow can believe food here is so good.